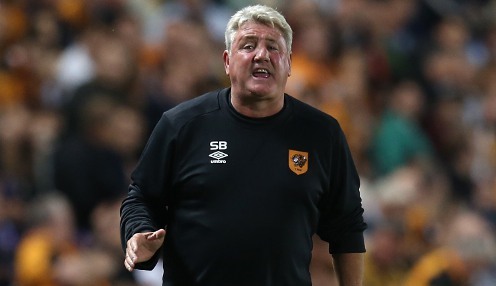 Steve Bruce hopes his Hull City side can see off Lokeren and play one of European football's glamour clubs in the group stage of the Europa League. The Tigers have already knocked AS Trencin out of the competition but Bruce is looking forward to the possibility of playing the likes of Inter Milan, Sevilla or Fiorentina later on. But first of all they will have to get past Lokeren who qualified for the Europa League by beating Zulte Waregem in last season's Belgium Cup Final, while they also finished fifth in their domestic league. It would be wrong for me to damn this competition when we've never been in it for 100 years. Bruce will be without big-money summer signing Robert Snodgrass who has been ruled out for six months after dislocating his kneecap in the opening-day win at QPR, and has confirmed he will definitely be signing at least one new player before the transfer window closes. "Whether you are a manager, player or supporter, there is nothing to beat a really big night in Europe and that's what we want," said Bruce. "We want to play those glamour teams. We are under no illusions about how difficult it is going to be to balance the league and Europe, we understand that. But it would be wrong for me to damn this competition when we've never been in it for 100 years. "We need to try and do the best we can and get into the group stages." A 1-1 draw against Lokeren can be backed at 1/1 while a 1-0 victory for the Tigers is available at 1/1. Lorient's Cameroon striker Vincent Aboubakar is being linked with a move to the club, but Bruce would only say: "Before the end of the window we have to bring someone in." Hull City, 1/1 to be relegated from the Premier League in the 2014-15 season, are also available at 1/1 to finish in the top half of the table.